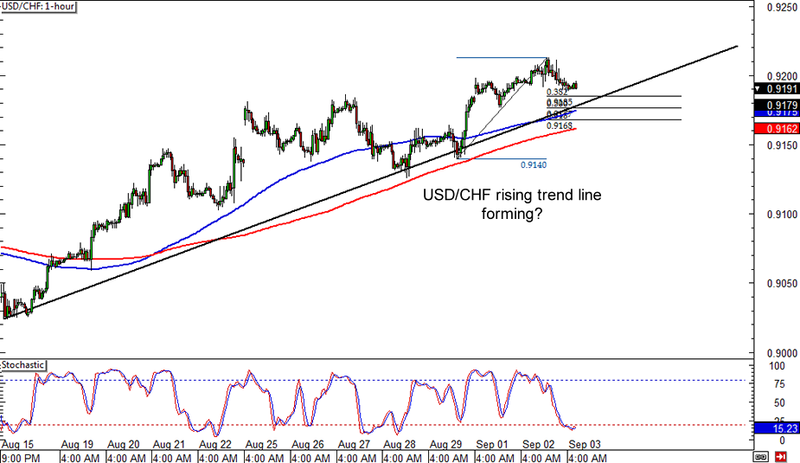 Can USD/CHF keep climbing? The pair appears to be forming a rising trend line on its 1-hour forex time frame, indicating that a short-term uptrend is playing out. After its latest rally, price looks ready to pull back to the trend line, which happens to line up with the 100 and 200 SMAs. Using the Fibonacci retracement tool reveals that the 61.8% level lines up with an area of interest around .9185, which could act as support from now on. Stochastic is already indicating oversold conditions, suggesting that dollar bulls could charge again soon. 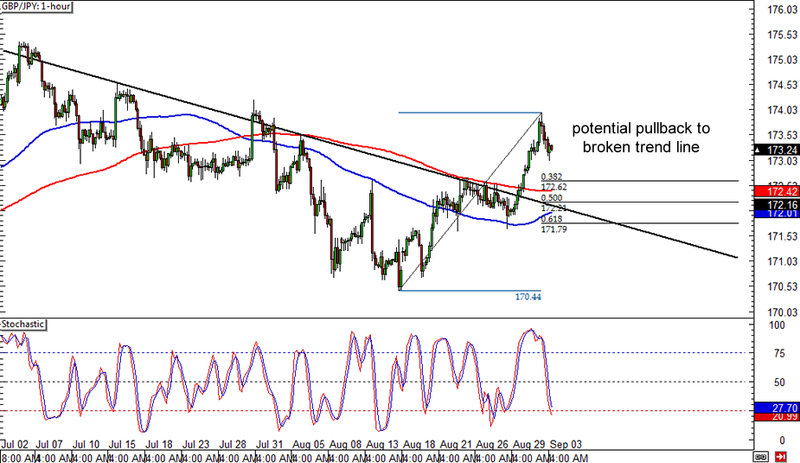 Here’s my favorite break-and-retest situation about to take place on GBP/JPY’s 1-hour forex chart! The pair has recently made a strong break above the falling trend line, indicating that the downtrend is over and that price could keep climbing. However, the 174.00 handle seems to be acting as resistance at the moment, and GBP/JPY might need to make a quick retracement. Stochastic is moving lower after all, which means that price could head south from here. The 50% Fibonacci retracement level seems to line up with the broken trend line and the SMAs, which might act as support if the pair pulls back. 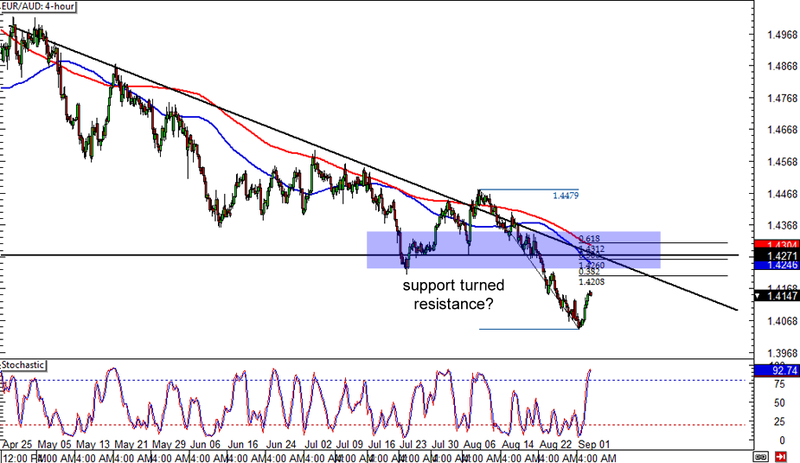 If you’re into longer-term setups, then you might like this downtrend forex play on EUR/AUD. The pair has been in a steady decline, as seen from the falling trend line connecting the pair’s highs since May this year. For now, EUR/AUD appears to have found support near the 1.4050 minor psychological level, leading up to a potential pullback to the trend line. The 50% Fibonacci retracement level lines up with the trend line, a former support zone, the SMAs, and the 1.4250 minor psychological level – all of which might keep any gains in check and the downtrend intact!